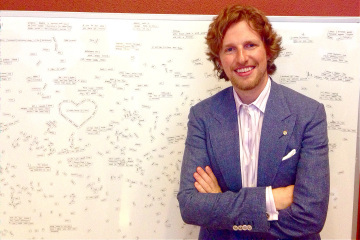 According to WordPress’s creator, Matt Mullenweg, its mission is both simple and wildly ambitious: It wants to democratize the web. Mullenweg was a 19-year-old college student when he began work on the platform in 2003, originally as an offshoot of an existing open-source blogging tool he liked called B2. Today, his official title is Chief BBQ Taste Tester of Automattic, the 185-employee for-profit company that runs the free WordPress.com blogging service, helps corporate customers such as TIME with their WordPress-based sites and spearheads development of WordPress.org, the open-source, endlessly customizable version of WordPress. I chatted with Mullenweg on Saturday at WordCamp San Francisco, the largest of the local events — 72 have been held around the world so far this year — for WordPress developers, content creators and other interested parties. Back in 2003, when WordPress was new, it was easy to identify its competition. There were already several well-established ways to create a blog, such as Movable Type and Blogger. New blogging options have come along since, such as Tumblr and Squarespace, along with build-your-own-site services such as Wix and Weebly, and industrial-strength content-management platforms like Drupal and Joomla. Increasingly, some of the things WordPress competes with don’t look anything like WordPress. As Facebook and Twitter rose in popularity, for instance, it became fashionable to declare that they posed an existential threat to blogs. The obituaries keep getting written. Even if other forms of web activity are encroaching on WordPress’s turf, it’s also broadening its goals. During his State of the Word keynote, Mullenweg showed a brief video of an ambitious commerce tablet app used by the Houston Museum of Art, with features like the ability to let users hold their membership cards up to a camera to scan them. It wasn’t recognizable — at least to me — as having been created in WordPress. WordPress isn’t trying to be all things to all creators, though: The web apps it has in mind will still be content-focused ones. “If you were building a real-time game like one of Zynga’s games, the WordPress model wouldn’t work well for that,” Mullenweg told me.